The morning financial news will discuss the futures prices as indicators of how the U.S. stock market will open and perform for the day. The futures values are from contracts trading on a different type of market with different trading hours. 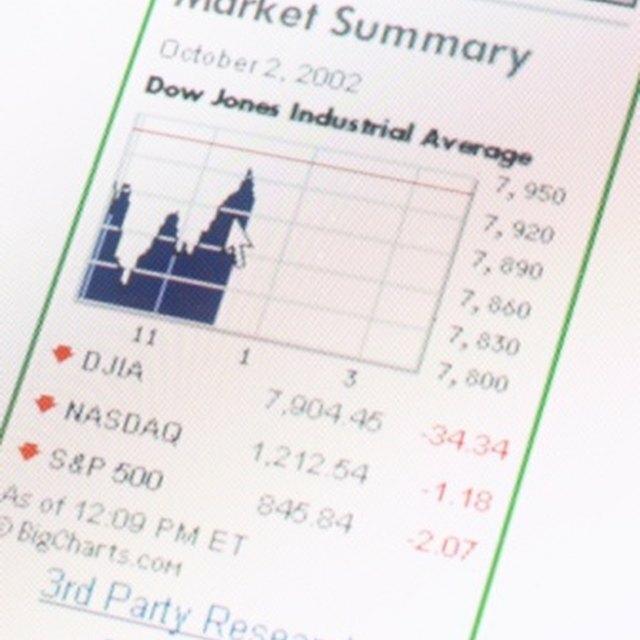 Stock market futures can provide information on what traders think about the market almost 24 hours a day. Futures contracts are derivative securities whose values are based on the future delivery of a specific commodity or financial instrument. The stock market futures contracts are based on the values of the major stock market indexes, such as the Dow Jones Industrial Average, the S&P 500 stock index and the Nasdaq 100 index. A stock index futures contract calls for the payment of any profit or loss on the specified stock index for the time period a trader holds a contract. The U.S. stock exchanges are open from 9:30 a.m. eastern time until 4 p.m., Monday through Friday. In contrast, trading in stock index futures contracts is open from 6 p.m. Sunday afternoon until 4:15 p.m. on Friday. The futures trade into the evening and overnight as well as when the stock exchanges are open. Futures trading shuts down each business day from 4:15 p.m. to 5 p.m. for maintenance and the updating of trading accounts. The almost 24-hour-a-day futures trading session allows futures traders to adjust the current futures price to news events from around the world while the U.S. markets are closed. During the night, the Asian markets are open and the European stock markets open early in the morning, U.S. time. The results in these market will affect the stock index futures prices as traders try to predict how the U.S. exchanges will open in response to market results in other parts of the world. When Do Call Options Expire? What Is Rollover in Futures? Although the stock index futures contracts trade against the values of the designated stock indexes, the two markets -- futures and stocks -- are not linked together. Stock values trade at the levels investors and traders believe are fair value for the individual stocks. Futures contracts are valued based on traders bid and ask prices as well as the value of the underlying indexes. The pre-market futures prices are only an indicator of where the stock market might open.